After a blissful ride on the ferry it was quite cold on the other side so I sought shelter, literally, in the pink hideaway, aka the Warsash ferry shelter. The most stunning shelter you've ever seen or the most stunning shelter you've ever seen? 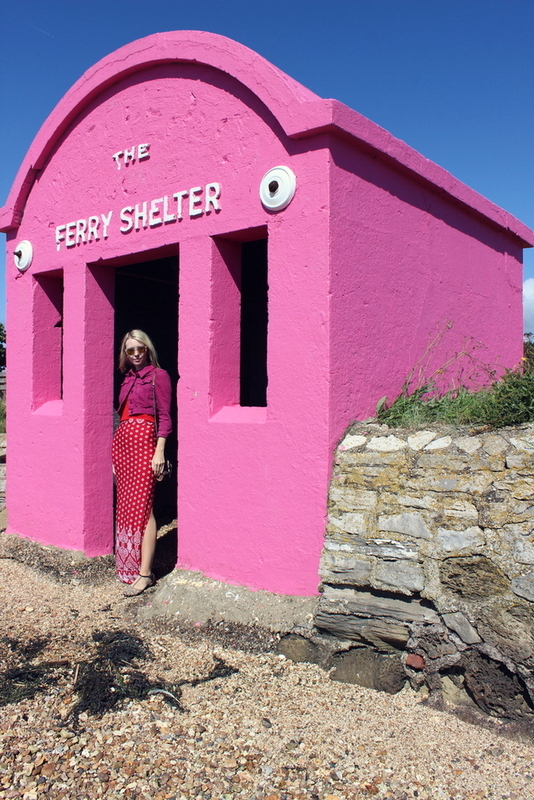 To meet and greet the pink ferry in all it's fabulous finery I wore what seems to be my summer uniform; trusty Boohoo boho skirt, red tie up top, berry denim jacket and Zara rhinestone glittery sandals. We spent about half an hour looking around Warsash and then sped back on the ferry for the last return ride of the day. Being stranded there wouldn't have been an issue, although even I couldn't compete with all the pink pretty going on! During our time in Portsmouth we also spent a day at Lee-on-the-Solent beach and Graham kindly booked us a gorgeous B&B that was made up of a nice bar and was part of a lovely Italian restaurant with nice food and a gorgeous garden. It's always nice to spend time in areas of the UK we've not always explored before, and gems like the Hamble ferry definitely make it worthwhile! If you're over in the Hamble area and fancy a ride on this babealicious beauty, it's only £1.50 per adult. You can find out more about the Hamble ferry on their website. Race you there, fellow Penelope Pitstoppers! 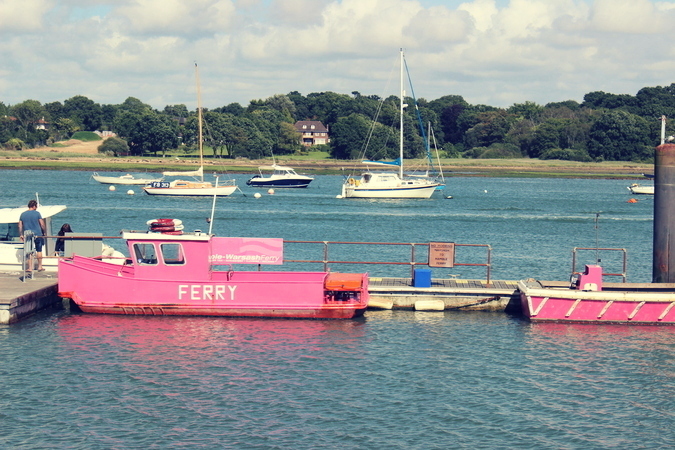 Do you love this pink ferry as much as I? Let me know if you've made any colourful discoveries lately! This is the most amazing thing ever!!! 💖💖 I've never heard of this before but now I really need to take a trip to see this. This has literally made my day. Love this! I have never been to Portsmouth, but it looks super cute! Love your outfit too btw! Omg! I need to go!!!! 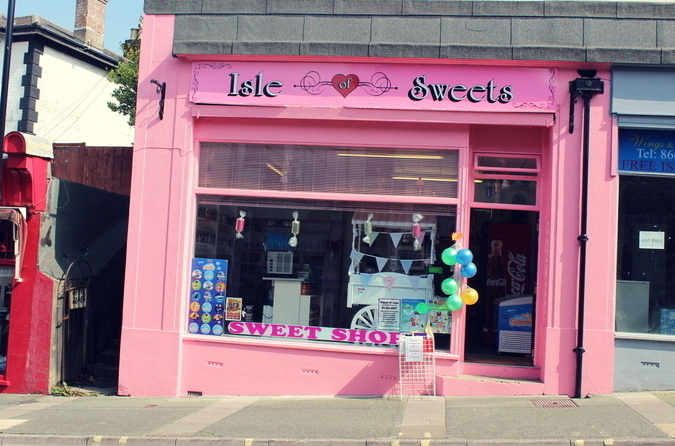 Wow you find th pinkiest of places and I love it! I seen some really cool colorful place in the UK like museums. Wish I knew the names off the top of my head. Anyways, I do save a lot of places I find on my Insta now. I kind of use it like Pinterest, lol. You may find some more pinky goodness there! Your outfit is one of my favorites you've worn so far. Love that you are color blocking, so good!!! Pink is my favorite color, so this is awesome! Everything is so pink and I absolutely adore your outfit! This is perfect. 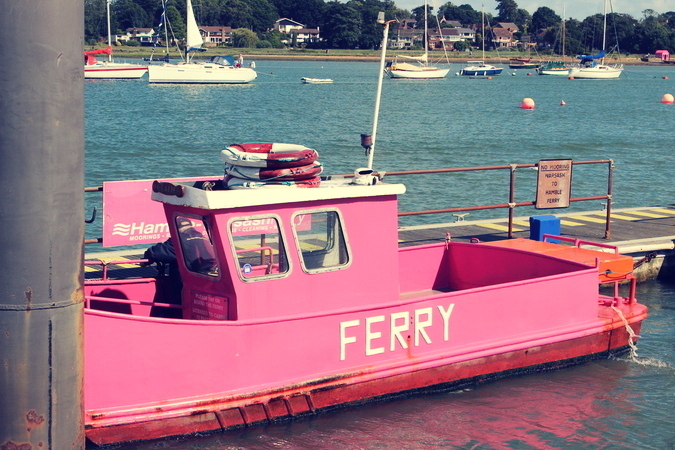 I would love to see a pink ferry, there can never be too much pink. You look beautiful, I adore the colours in your outfit. 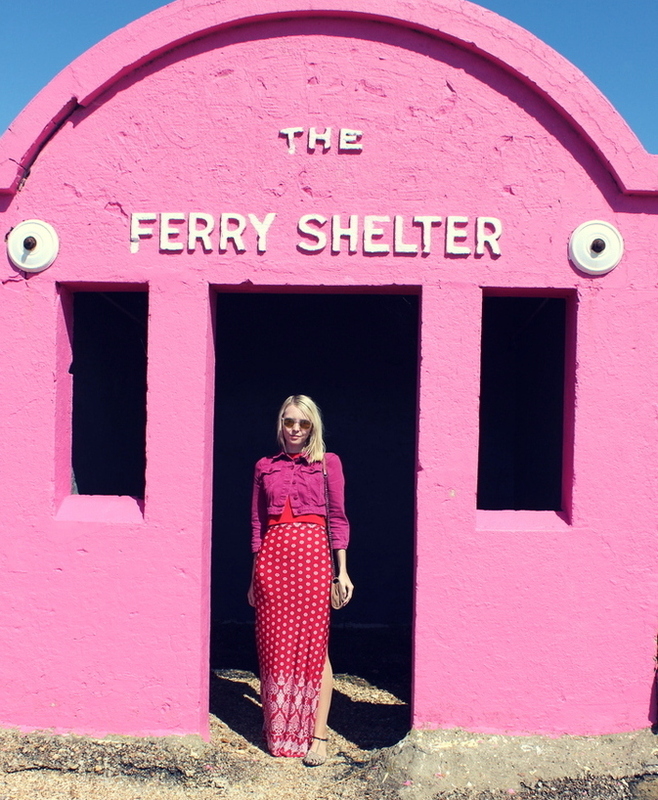 That pink ferry looks fabulous and you look super beautiful! Very cool jacket! OMG!!!!!! It's so pink and I love it! Oh my gosh Sophie, this ferry has literally got your named stamped ALL over it. 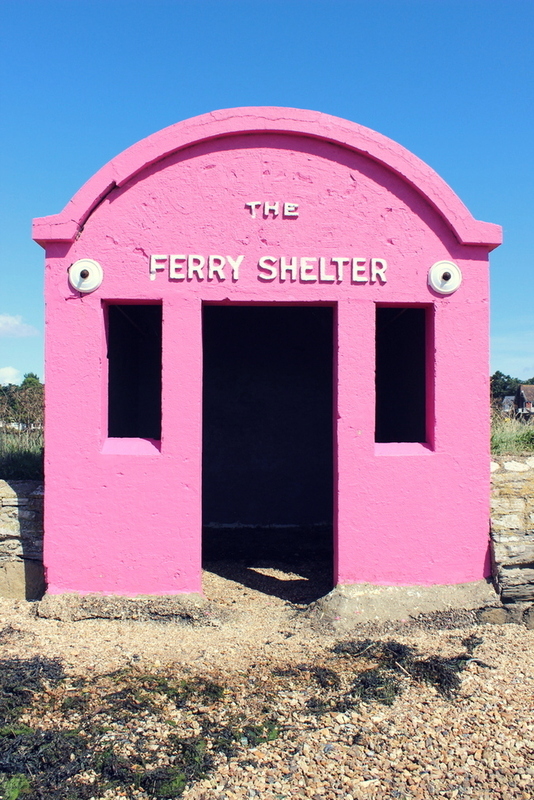 This ferry and shelter is so unusual and unexpected there; a little ray of sunshine! The dark pink denim jacket you're wearing is super cute by the way; perfect for transitional styling :) hope you're having a lovely week so far!! I always love seeing the Hamble Ferry gives a splash of colour to the River, although I have never actually taken a ride on it yet, if your ever down this way again, try the Hythe Ferry from Southampton, we're a small village but great for first time tourists. Love all the pink in this post!! !